Sand-It is designed to give you a quick, precision finish on wood, plastic and metal sheet and strip stock. Also works beautifully to square-up cut ends of brass tubing. Use whenever you need a fine, precise fit of parts, such as inlay work, marquetry, toys, miniature window framing, dollhouse furniture and model structural components. Works on material up to 4 inches wide x 1 inch thick x any length. 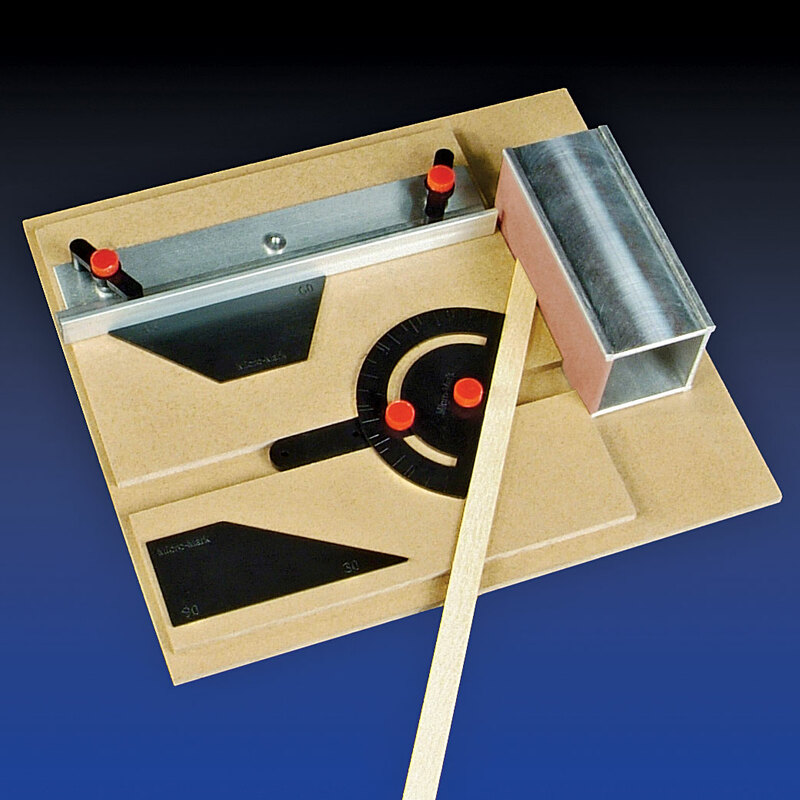 Four-sided sanding block lets you have four different grits mounted at the same time. Standard sandpaper is held to block with tape or rubber cement. Includes pre-set angle guides for 30, 45, 60 and 90 degrees plus protractor type guide for any angle in between.